Michael Grant has written over 150 books, most of them co-authored with his wife Katherine Applegate but Front Lines is my first experience of his writing – I now can’t wait to investigate his other novels, I might be gone some time! His latest novel is set in the mid 1940s and it is an alternate history of America’s involvement in World War 2, with females being sent to the front lines for the first time. An anonymous narrator relates the stories of three American recruits who hail from very different backgrounds – Rio Richlin, a farmer’s daughter from California, Frangie Marr from Tulsa who faces a double dose of discrimination as a result of her gender and skin colour and Rainy Schulterman, intellectual Jewish New Yorker. I was pleased that there wasn’t too much romance and more of a focus on the realities of life in the army and how these teenagers, both male and female, struggle to adjust to life at the front. It was also refreshing to hear the stories of soldiers involved in North African operations, a location often overlooked in YA novels about World War II. Michael Grant doesn’t hold back in his presentation of the brutality of warfare so those of a nervous disposition might be traumatised by the graphic detail. I can’t wait for the next in the series to see how army life continues to mould the characters’ personalities, for better and for worse. An intelligent, fast paced opening to an exciting new series with extremely engaging characters. Highly recommended for older teens and even young at heart adults! West Virginia, Summer 1938. Senator’s daughter, Layla Beck, has been tasked with compiling a short history of the small town of Macedonia which is celebrating its 150th anniversary. It’s not exactly a labour of love but rather a punishment meted out by her father for her failure to toe the family line. Designed to support struggling, impoverished writers, teachers and historians during the Great Depression, the Federal Writers Project is not a good fit for Layla who finds herself flung into an alien world, lodging with the Romeyn family. With a variety of narrative styles, from 12 year old Willa Romeyn, her maiden aunt Jottie and correspondence between Layla and her family, the scene is set for a mystery to unfold and small town secrets to spill. I’m an avowed fan of well written fiction set in smalltown America as it usually serves up a delightful array of local characters with distinctive quirks and traits. Macedonia is no exception, with its pretentious local gentility keen to influence Layla and rewrite history. By contrast, the Romeyns seem more down to earth but there seems to have been some editing re their past also. Never fear, young Willa is on the case and she is determined to grow closer to her errant father, Felix, by discovering what he actually does during his long absences from home. She is a really likeable, feisty, intelligent girl, fiercely protective of her unconventional family. Her aunt Jottie is the cornerstone of the family – indeed most of the female characters out-shadow their hapless menfolk! The sweltering summer heat echoes the oppressive nature of this small town where everyone knows, or thinks they know, your business. The storytelling, the characterisation, the ambiance are exceptional and reminiscent of another of my favourite authors, Fannie Flagg. It’s a coming of age story, a story about family ties, secrets and lies and how they come back to haunt you. This is Annie Barrow flying solo and I think most readers will be very pleasantly surprised by the experience. 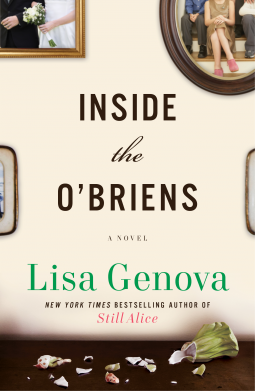 Inside the O’Briens is the fourth novel from the extremely talented Lisa Genova, an American neuroscientist and author with the critically acclaimed Still Alice and Left Neglected in her back catalogue. Having already tackled early onset dementia, hemispatial neglect and autism in previous novels, Genova turns the spotlight on Huntington’s Disease, an incurable genetic disorder with obvious physical symptoms such as chorea (an involuntary movement disorder) and the hidden but emotionally devastating symptoms of depression and anxiety. We learn about this cruel disease through the eyes of the O’Brien family, ordinary Boston folk whose lives are turned upside down when Joe O’Brien, a 44 year old cop, is diagnosed with Huntingtons. We see the savage effect Huntingtons has on his immediate family, his wife Rosie and four children in their twenties who have a 50/50 chance of inheriting the faulty gene. As well as dealing with an uncertain future, Joe has to come to terms with the knowledge that his mother died, not from alcoholism but Huntingtons and the extent to which this rare genetic disorder is still misunderstood. The fact that Lisa Genova has raised awareness of Huntingtons by writing this novel is unquestionably laudable and it certainly enlightened me as to the plight of those with HD but this enlightenment came at the expense of well-rounded, believable characters. Character is key in dictating whether I will like a novel or not. I don’t have to like the characters, I just need to believe in them. I found the O’Briens too flat, too cliched with the plethora of religious objects and booze…just in case you forgot they were of Irish descent. Overall this was an interesting and edifying read. 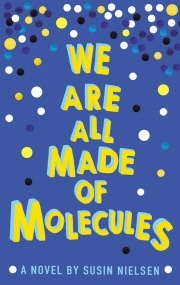 Lisa Genova’s next novel is to revolve around ALS which was highlighted last year by online ice bucket challenges. My thanks to NetGalley and Galley Books for providing an e-copy in exchange for an honest review. A couple of confessions to make – I simply love Fannie Flagg’s writing and I grew up in a filling station (rural Ireland, not Wisconsin..) so it’s obvious why I was drawn to her latest novel. Admittedly we didn’t race around the forecourt on roller skates or have a kissing booth – minor technicality! If you’re into heartwarming stories with that southern twang and if you enjoy a few tears with your laughter then you’re onto a winner with this story. There are two narrative threads, one set in contemporary Alabama, although sometimes you might be forgiven for thinking time has stood still in Point Clear, Alabama, the other story set in 1940s Pulaski, Wisconsin via Poland. In the present, almost 60 year old Sookie (Sarah Jane) Poole is having a well-deserved rest after marrying off her three daughters. Well, she could have a rest if it wasn’t for the constant demands of her elderly mother Lenore, a narcissistic southern matriarch who is obsessed with preserving the glory of the family name. In the past, four young sisters of Polish descent discover endless opportunities open to them when World War II occupies their men folk. The ever widening horizons of the Jurdabralinski girls contrast sharply with the insular, claustraphobic life of Sookie who doesn’t really know what her role is now that all her children have flown the nest. The author skilfully draws the two threads together until the bomb drops and Sookie’s life is forced to take a new direction. Okay, it doesn’t take a genius to work out what way the narrative is heading but Flagg’s stories are less about what she tells you and more about how she tells you. It’s like sitting down with an old friend and having a catch up. You quickly feel like you’ve known these characters forever. The more cynical reader might be inclined to find Sookie tiresome or her mother Lenore just too much but perhaps these readers cannot imagine the psychological distress caused by empty nest syndrome or the frustration of dealing with a snob, especially if that snob is your own mother! Even the subsidiary characters are vividly presented – from the “normal”, understanding husband, Earl to the wacky, new-age Maravaleen. If I enjoyed Sookie and pals, I simply fell in love with the Jurdabralinski family and their exploits – from their efforts to make the filling station stand out to Fritzi’s wing walking to their wartime duties as WASPs ( Women Airforce Service Pilots). I hadn’t realised such women existed never mind how poorly they were treated at the time – WASPs who were killed in service were neither accorded military honours nor was compensation given to their families. 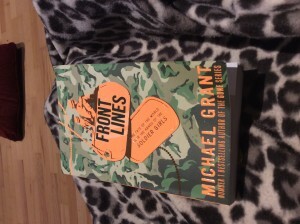 I loved how the author incorporated this fascinating part of history into this novel. I can always rely on Fannie Flagg to entertain and engage me with her wit, humour, empathy and joie de vivre and The All Girl Filling Station encapsulates all of those qualities. Highly recommended for existing fans and for anyone who enjoys good old-fashioned storytelling. Having been very impressed by Wiley Cash’s debut novel A Land More Kind Than Home, I was really looking forward to This Dark Road to Mercy. 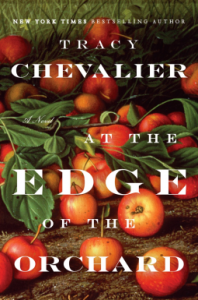 As in his first novel, he manages to pack a lot into a relatively short read at 240 pages. 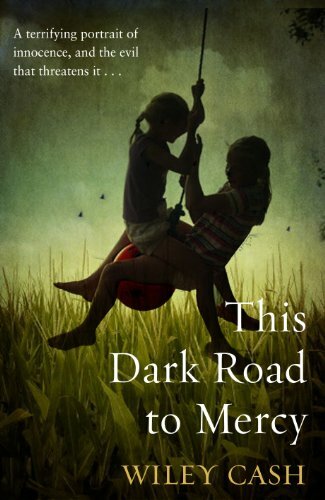 Set in North Carolina, this is a compelling story about family ties as well as family breakdown alongside a convincing depiction of the innocence of childhood. Narrated by a compact cast of characters, each with their own distinctive voice, this bleak tale of loss and redemption grips the reader from the opening pages when we hear the story of twelve year old Easter Quillby. Easter is an unforgettable narrator who never sinks into self-pity even when disclosing the worst parts of her life so far with her six year old sister. The two girls are not long in foster care before their wayward father, Wade, arrives to disrupt their lives once more. What follows is a well-paced, gripping narrative involving a particularly nasty hitman named Bobby Pruitt who is determined to settle an old score. Wiley Cash is fast becoming one of my favourite authors as his two novels have more than satisfied my predilection for Southern Gothic. His characterisation is spot on especially for Easter and Wade – Easter with her self-assurance, guts and determination and Wade, the washed up former minor league baseball player, who has made and, indeed, continues to make mistakes. The bleak and stark nature of the story with its unremitting tension is balanced with the remote possibility of redemption. With echoes of Cormac McCarthy, especially No Country for Old Men, this novel sees Cash going from strength to strength. More please!! You can discover more about the author at his website here. ” They f___ you up your Mum and Dad, They may not mean to but they do. “ Harsh words from Philip Larkin but he has a point…except here it’s Mommie Dearest who is most at fault in the shape of Josephine Hurst, narcissistic mother of 3 vulnerable children with a rather needy husband too. It might seem quite trite to state that a book was “unputdownable” but in this case I was so engrossed that everything else had to be put on hold. I just had to keep on reading – this was car crash tv, the subject matter was disturbing but fascinating and it’s been a while since a book had such an immediate hold on me. From the early stages we know that Josephine Hurst is the manipulative matriarch at the heart of all her family’s woes. Eldest daughter Rose ran away, middle child Violet tried to escape through drugs and the youngest, 12 year old Will is so wrapped up in his mom’s web of lies he worships the ground she walks on. The dad, Douglas, is distracted by his own demons – he is an alcoholic and completely unaware of the danger his children face. Josephine has psychological abuse down to a fine art. She knows her family’s pressure points and boy does she exploit any weakness with the seemingly innocuous remark, the pouring out a glass of wine for Douglas, the downright disturbing babying of her son. It is Violet (Viola) who decides to fight back but as a 15 year drug user with no support from her ineffectual father, it’s not going to be an easy battle to win – especially not against Manipulative Mom. I loved her gutsiness and determination. The story is told from the point of view of Violet and Will in short alternating chapters. It quickly becomes clear that Violet has more of a mind of her own than Will who has a questionable diagnosis of autism and epilepsy – a diagnosis actively encouraged by Mom. Whilst many of the plot twists are predictable and a tad theatrical, this is still a fascinating read and I think it will have huge commercial success and will also be a favourite for book groups. I can already see folk entering the nature versus nurture debate re Will Hurst. It doesn’t have the depth of We Need to Talk about Kevin but it will raise age-old issues which we never tire of debating. A great debut, this psychological thriller will have you on tenterhooks. 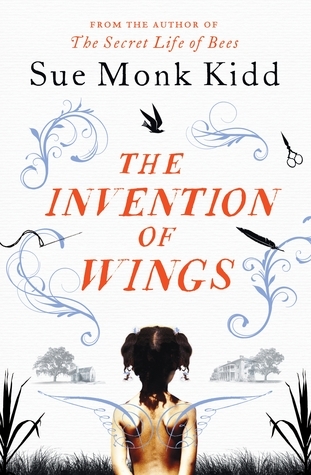 Set in early 19th century Charleston, Sue Monk Kidd’s latest novel is the story of two women from very different backgrounds. On her eleventh birthday Sarah Grimke, daughter of a wealthy judge, is gifted ownership of ten year old Hetty “Handful” Grimke, a slave who will act as her handmaid. Both young girls have many dreams and aspirations but these are thwarted by social convention in Sarah’s case and the brutal reality of enslavement for Handful. Indeed, Handful points out that her slavery is that of the body whilst Sarah is held captive by her own mind. Narrated in turn by Sarah and Handful, the story paints a realistic picture of the deep South where anyone speaking out against slavery is ostracised. Sarah has had a privileged background but she’s an intelligent woman who wants more than needlepoint and a socially acceptable match. As a teenager she sees how her brothers’ horizons expand whilst her prospects become limited. Meanwhile Handful is raised by a strong mother, Charlotte, who advocates quiet rebellion and unlocks the possibility of freedom for her daughter. Spanning 35 years, this novel is loosely based on the life of Sarah Grimke and her sister Angelina who were the first female abolitionists and feminist thinkers in the United States. The parallel stories of Sarah and Handful provide an intriguing insight into the racism, misogynism and inequality which pervaded the Southern States during this era. The voices of Sarah and Handful are very convincing as is the depiction of the claustrophobic life of the landed gentry and the daily brutality of life for slaves. This is a very readable, thought-provoking story which packs a slightly stronger punch than the author’s first novel The Secret Life of Bees. 5 stars, I was gripped throughout! 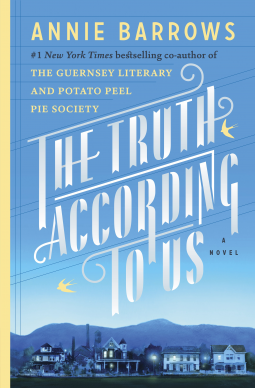 When I saw this novel billed as The Great Gatsby meets The Secret History, I was immediately on the offensive; surely the publisher is laying this innocent little debut out in the open for the vultures/critics to swoop and attack. Fortunately I was proven wrong. This is no timid, halting debut, this is a meaty, powerful read rightfully brimful of confidence and swagger with characters striding off the page and almost taking over your life. Yes, it’s an age-old tale – long married couple positively aglow with happiness meet their match in the shape of a young, lithe maiden who adores the charismatic author husband. As in The Great Gatsby, the story is related by a longstanding friend of the glittering couple. At first I wondered if this would work as how could Walter possibly know all the subtleties of an emerging affair, the clandestine meetings but it works very well as Charles Dubow is in constant control of the characters and plot. The result is an outstanding read, so compelling you will hesitate to put the book down. It’s an easy read in terms of the language used but the simplicity of idiom belies the complexity and emotional turmoil of these characters. Sometimes privileged characters irk me with their sense of entitlement but the Wilmslows are likeable, flawed folk and their story will engross you. My favourite read so far this year and a very strong contender for my book of the year – highly recommended!